The Goldenberg Group announced today that it purchased a significant parcel of land on more than 50-acres in Upper Dublin Township on what in recent years has been commonly known as St. Mary’s Villa. Located at 701 S. Bethlehem Pike on the corner of Lindenwold Avenue and Bethlehem Pike, most recently this parcel of land served as a youth home owned by the Sisters of the Holy Family of Nazareth. Originally, the property was established as the primary residence for Dr. Richard Van Zeelust Mattison, who became one of Ambler’s founders. Dr. Mattison was a principal at Keasby & Mattison which served as the town’s primary employer. He founded a library, built an opera house, offices, shops and Trinity Memorial Episcopal Church. He also built many of the homes in Ambler including Lindenwold Castle, the focal point of his estate, which was originally a large Victorian home was encased in stone in 1912 to resemble Windsor Castle. In recent years this once beautiful estate has started to deteriorate. Both the community and Upper Dublin Township would like to see Lindenwold Castle preserved. “The ability to preserve many features of this once elegant estate is one of the reasons we were so attracted to this site in addition to its premier location,” said Rob Fluehr, director of residential development at The Goldenberg Group. The site’s rich history also served as inspiration when the name was designated Mattison Estate. M&T Bank provided the acquisition and construction financing for this project. “We have worked with M&T Bank on many projects across our diverse portfolio over the years and are pleased they are involved in our newest endeavor at Mattison Estate.” said to Robert W. Freedman, Esq., senior vice president of The Goldenberg Group. 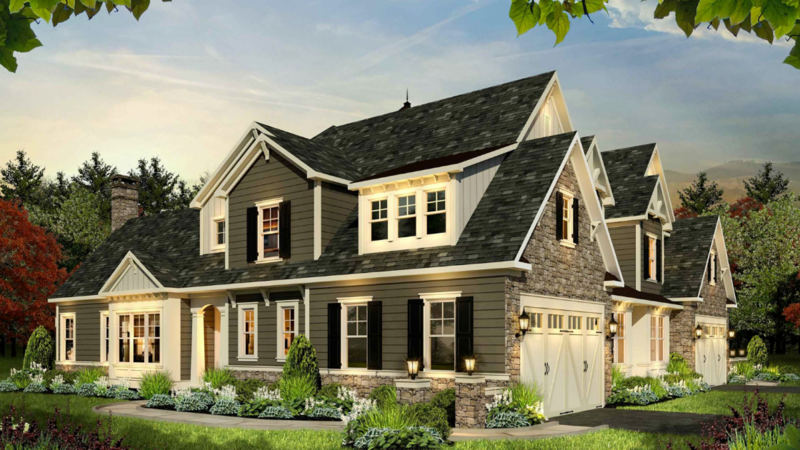 This community will feature 104 for-sale Villas & Carriage Homes that will range from 2,600 square feet to 3,400 square feet.